Rimrock and Lake Montezuma are undoubtedly the sleepiest of all Verde Valley communities and were originally known as “the station,” the last place for filling up before heading North to Stoneman Lake. A post office was established in 1929. Rimrock also contains the “towns” of McGuireville and Lake Montezuma, though none are incorporated. Rimrock continues today to have sparse services, and sparse population, and is a wonderful choice for those who prefer to live in a community that is still unaware of the busy world around it. There are no banking or medical services in Rimrock. 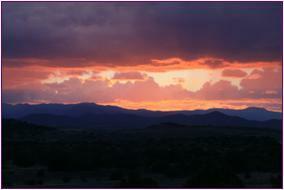 The nearest large grocer is in Camp Verde. But don’t let this dissuade you from looking at real estate in this area! Rimrock residents enjoy close convenience to Interstate 17 and the Village of Oak Creek/Sedona Area and most of the items you might need at the last minute can be found at the Rimrock Mercantile or General Store. Several commercial strips have been constructed in the Rimrock area in the past few years and more commercial development is expected in the area in the future. Rimrock, like all Verde Valley communities, is completely surrounded by National forest and State Lands and currently there is only one major access route to this area. Some may see this as a deterrent, but residents here enjoy the lack of thru traffic in their community….and the opportunities to employ alternative means of travel to exit their community! Horse enthusiasts, 4 wheelers, ATV er’s , and hikers will all find an abundance of dirt roads and trails leading out into the great beyond on the fringes of the Rimrock area, as well as all communities throughout the Verde Valley. As a side note, there is not a lake in Lake Montezuma, Arizona. The area got its name for a large natural well formed in collapsed limestone. If you wonder about the Verde Valley and our water supplies, consider that over one million gallons of water flow into the well continuously each day. Wet Beaver Creek and Dry Beaver Creek also wind through Lake Montezuma and Rimrock, providing rich riparian habitats and an oasis of green. Large Sycamore, Arizona Ash, Cottonwood and Willow trees thrive in this area, set along a backdrop of crumbling cliffs of ancient lake bed deposits. Tourist attractions in Rimrock include The National Monuments of Montezuma’s Castle and Montezuma’s Well as well as the Wet Beaver Creek Wilderness Area and the famous Bell Trail. 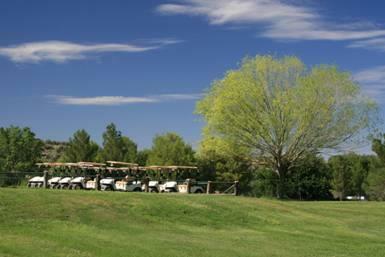 Golfers may wish to visit the Beaver Creek Golf Course, which is under new management and undergoing improvements. Real Estate offerings in Rimrock and the Lake Montezuma area are diverse and listings run the gamut from golf course homes, custom home communities, planned communities, horse properties to the occasional large ranch. 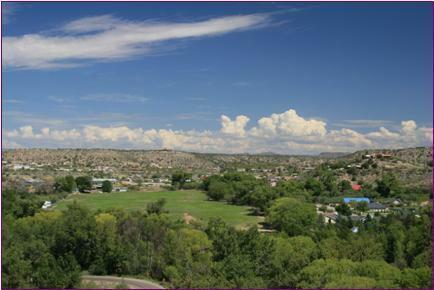 The most affordable acreage and vacant land in the Verde Valley can often be found in the Rimrock and Lake Montezuma area. New construction and custom home subdivisions are currently available in the subdivisions of Beaver Creek Preserve and Thunder Ridge, as well as newly constructed homes in older subdivisions throughout the area. Those who have always longed for a home backing to golf course greens will find very affordable offerings along the Beaver Creek Golf Course. Even though the subdivisions surrounding the course were originally platted in the 60’s and 70’s, brand new construction is offered on vacant lots throughout the area. When the golf course was sold, tracts of land along the course were re-platted, and golf course condominiums are in various stages of construction and planning. Land buyers must exercise a little extra caution in certain areas of Rimrock and Lake Montezuma. Some of the subdivisions in this area were created by Ned Warren, AKA, the king of Arizona land fraud. Roads that appear on county maps,... aren’t really there. They were platted, the county does indeed own them, but they were never installed. Some of them cross solid rock cliffs….definitely not traversable by ANY vehicle, let alone a passenger car or fire truck! Some areas are also completely inaccessible in times of flooding. Water lines are also an issue in some areas. Just because there are homes on the street, does not ensure a water line exists on the entire street. There are streets in the area where the line runs for a portion of both ends of a street, but not along the middle portion. The cost of installing the line lies on the land owners in these areas. Rimrock has experienced both steady as well as explosive growth over the past decade, but continues to be a place where the peaceful and quiet benefits of rural living prevail. Growth in this area will continue for many years to come, due to the current affordability of land and the natural beauty of the area.